Toxic pollutants invisible to the human eye are now killing more people than smoking. This was the alarming finding by researchers reported last week in the European Heart Journal. They calculated that, in the UK alone, 64,000 deaths a year are caused by air pollution — which is more than the 43,000 cancer deaths caused by smoking. But many people may be unaware they are being affected. Unlike London’s highly visible ‘pea soupers’ of the Fifties, thick, grimy fog caused largely by burning coal, today the risk to health is largely posed by microscopic particles of pollution — particulate matter — called PM2.5, which measure just 2.5 micrometres (less than 1/30th the width of a human hair). These are being pumped into the air we breathe by everything from cars, buses and taxis to factories, construction vehicles and, in our own homes, gas cookers and even scented candles, as the Mail revealed on Saturday. PM2.5 forms as a result of burning off diesel, petrol, wood and coal, which creates carbon particles. Other secondary sources include farming practices (grazing animals and fertilisers in agriculture give off ammonia which breaks down into PM2.5) and cleaning agents reacting with others in the atmosphere to form PM2.5. Some of the cities that exceed World Health Organisation limits for the smallest pollution particles (PM2.5) — the limit is 10 micrograms per cubic metre — according to a report in 2017 by the Lancet Countdown and the Royal College of Physicians . 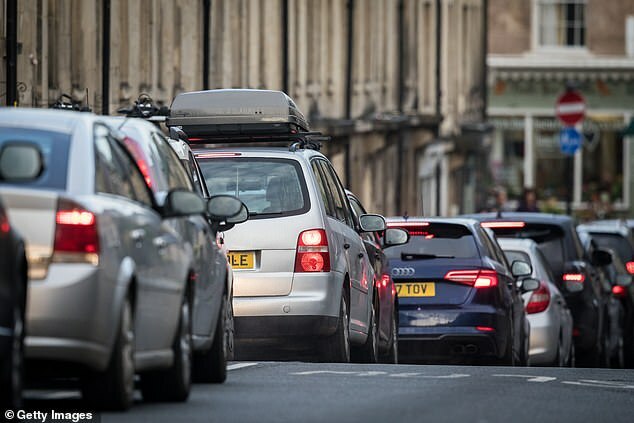 . .
PM2.5 pollution is worse in cities, but even people who live in the countryside or in smaller towns or in villages can be exposed to high levels if they sit in traffic jams or burn an open fire, says Professor Frank Kelly. PM2.5 can travel large distances and ammonia, which contributes to PM2.5, is also generated in rural areas. The particulates can also occur as a result of abrasion from tyres, brake wear and road surface friction. Professor Frank Kelly, director of the Environmental Research Group at King’s College London, says although the long-term trend for PM2.5 emissions in the UK is downwards, this just isn’t happening fast enough. 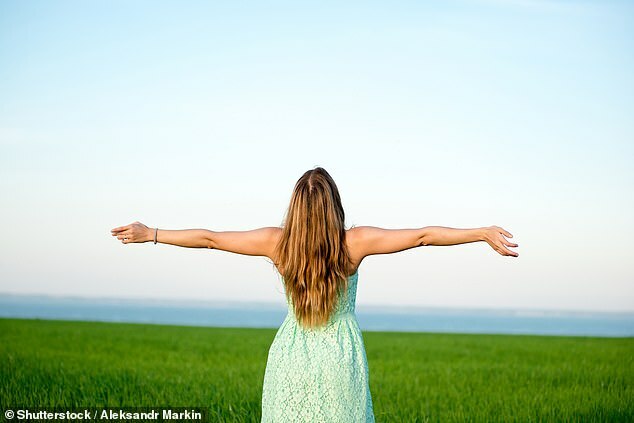 ‘If you look at a glass of dirty water or a mouldy sandwich, you wouldn’t dream of putting it in your body, but, because these pollutants are invisible and breathed in, you have no choice,’ he told Good Health. Jonathan Grigg, a professor of paediatrics and paediatric respiratory medicine at Queen Mary University of London and founder of the pressure group Doctors Against Diesel, describes the problem as ‘a public health emergency’. PM2.5 isn’t the only problem: nitrogen dioxide from vehicle exhausts also poses a risk to your health. ‘The effects of PM2.5 are most worrying in children because exposure can stop their lungs developing to full size,’ says Professor Grigg. ‘This not only reduces lung function, but makes them more vulnerable if they develop other conditions, such as asthma, later in life. But it’s not just our lungs that are at risk. A review published last week by Public Health England confirmed there is strong evidence that air pollution causes the development of coronary heart disease and stroke, too. What makes PM2.5 particles so dangerous is that they can slip through the body’s immune defences and penetrate deep into the lungs and, it is thought, into the circulatory system, affecting the heart and brain. Professor Grigg explains that there are two theories about how this happens. ‘One is that PM2.5 provokes an inflammatory response in the lungs, so that the immune system releases proteins so tiny they can cross across the lung wall into the bloodstream, causing harm. This was seen in a unique experiment led by Professor David Newby, British Heart Foundation chair of cardiology at the University of Edinburgh, where patients awaiting surgery on their carotid (neck) artery breathed in harmless tiny gold particles smaller than PM2.5. These particles were later detected in the diseased part of the artery when it was removed. As Professor Newby told Good Health: ‘This showed that what you breathe in does get into the bloodstream and reaches the diseased part of an artery. The study also found that patients exposed to diluted diesel had abnormal blood vessel behaviour and more blood clots formed — both of which raise the risk of a heart attack. ‘I do tell people who’ve had a heart attack not to exercise on bad pollution days,’ says Professor Newby. ‘The effects of pollution can be fairly immediate — two to six hours, in fact. Meanwhile, a study at King’s College London, St George’s Hospital and Imperial College London has discovered an association between PM2.5 pollution and dementia. The researchers reported that people living in the top one-fifth of PM2.5 areas had a 40 per cent increased risk of Alzheimer’s, compared with those in the bottom 20 per cent, although this doesn’t prove PM2.5 is a cause. Avoid main roads at rush hour if walking. ‘Or walk along side streets or through a park rather than on main roads,’ says Professor Prashant Kumar, chair in air quality and health at the University of Surrey. Phone apps to map a less polluted route to work in the capital are now available via London Air (londonair.org.uk). Some local authorities also produce alerts on pollution levels. Protect babies in buggies: a review of research by the University of Surrey has shown that babies and young children may be exposed to 60 per cent more pollution than their parents simply because they’re closer to exhaust pipes. Professor Kumar says that parents could consider using pram covers and avoiding pollution hotspots such as traffic lights or crossings at peak travel times. Meanwhile, Professor Frank Kelly, of King’s College London, says he wouldn’t recommend ‘the type of surgical masks you see people wearing in Beijing, for example: if you can breathe through them, then pollutants can get through them’. What it may surprise many to learn is that the single worst offender for PM2.5 emissions (outside of city traffic hotspots) lies in the home. Wood-burners are often marketed as a greener way to heat your home — there are some 1.5 million of the trendy stoves in the UK and 200,000 sold every year — but they’re now responsible for 41 per cent of PM2.5 emissions in the UK, compared with 12 per cent from road transport. What began as a back-to-nature trend for log fires has actually backfired and become a risk to public health. An editorial in the BMJ last year cited research that reported having a log-burner heating your home for a year has been compared to having 25 ten-year-old diesel lorries pumping out pollutants in your living room. They belch out high levels of PM2.5, not only up the chimney, but into your home. Simon Birkett, director of Clean Air In London, says: ‘We banned wood and coal in smoke-controlled areas in 1956, but we have sleep-walked back into the same problems with wood-burners. Although PM2.5 levels had been falling (down by 79 per cent since 1970, says Defra), they have recently stalled. This is believed to be due to the trend for wood-burning stoves. Open fires are even worse than wood-burners, giving off much more PM2.5. Other major sources of PM2.5 include industrial combustion (16 per cent), industrial processes (13 per cent), farming (estimated at 13 to 24 per cent) and traffic. Diesel fuel emissions from cars, buses, taxis and trains account for 12 per cent of PM2.5 emissions in the UK. Diesel vehicles produce higher levels of PM2.5 than petrol. Up to one-third of PM2.5 pollution in the UK actually comes from non-UK sources including from on the Continent, moved over by weather systems. Road transport is the worst offender for nitrogen dioxide — a respiratory irritant that causes inflammation in the airways, leading to coughing and breathing difficulties at high concentrations — responsible for 34 per cent of emissions. The UK is currently in breach of European safety levels for nitrogen dioxide. Plant a hedge, tree/hedge combination or a ‘living wall’. A study by the University of Surrey found this significantly reduced pollutants in busy, wide streets. ‘Planting a hedge outside your home can filter out traffic fumes at the level of exhaust pipes,’ says Professor Prashant Kumar, chair in air quality and health at the University who led the research, published in the journal Atmospheric Environment earlier this year. Professor Kumar said planting ‘hedges only’ showed greater reductions in pollutants, including PM2.5, than either planting a hedge and trees in combination or trees alone. But where there are tall buildings on either side, trees alone only seemed to increase PM2.5 underneath. ‘Trees may trap pollutants and restrict natural movements of the flow — so in those narrow “street canyon” scenarios, it’s better to build green living walls [walls planted with vegetation] and hedges instead,’ says Professor Kumar. A study published in the Journal of Living Architecture by researchers in Sydney last year found that such ‘bio’ walls significantly reduced PM2.5 levels in an indoor environment. When you air your house, open windows that are furthest from the road. Don’t leave your engine idling. Defra recommends switching off your engine if you’re waiting to pick children up from school or you’re stuck in a traffic jam. Burn the right sort of wood. Use ‘seasoned’ wood with the Defra ‘Ready to Burn’ logo (it’s more expensive than the wet wood sold on garage forecourts in nets but this creates more smoke that contains particulates). Buy a moisture meter to check the water content of wood. Take your asthma preventer medication. ‘Pollution makes the lungs “twitchy”,’ says Dr Andy Whittamore, a GP and clinical lead for the charity Asthma UK. Switch to beeswax or soy candles. Although these will still give off carbon particles, it’s likely to be less than candles that are made of paraffin (which is derived from petrol). Cook with electricity. This gives off less emissions than gas. Also, ensure your kitchen is well ventilated by opening windows and using extractor fans to move the pollutants out of your house, advises Professor Kumar, particularly in newer properties (older ones tend to be draughtier). Ventilate your kitchen. Some reports have suggested that cooking at high temperatures, such as roasting, or even simply making toast, could release toxic particles into the air. Studies cited by a review at Birmingham University in 2013 found deep frying created the largest amount of particulate matter 20cm from the cooker, and steaming the least. Cooking with oil rather than water also contributes to higher concentrations of particles. Decorate with care: ‘Paints contain thinners (oils), and when you put them on the walls they evaporate as the paint dries and volatile compounds are then emitted into the room,’ says Professor Kumar. These react with other chemicals in the atmosphere and form PM2.5. Choose low volatile organic compound paints and ventilate the room well during decorating and afterwards.